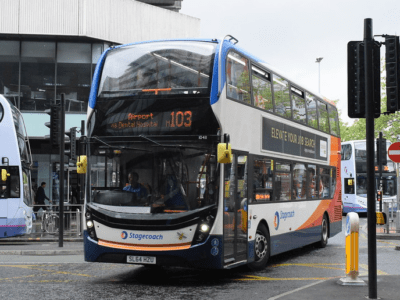 For day 56 on #AYearOfBuses, we’re checking out CONNexIONS, from Stagecoach. 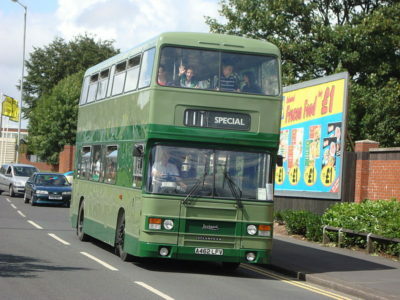 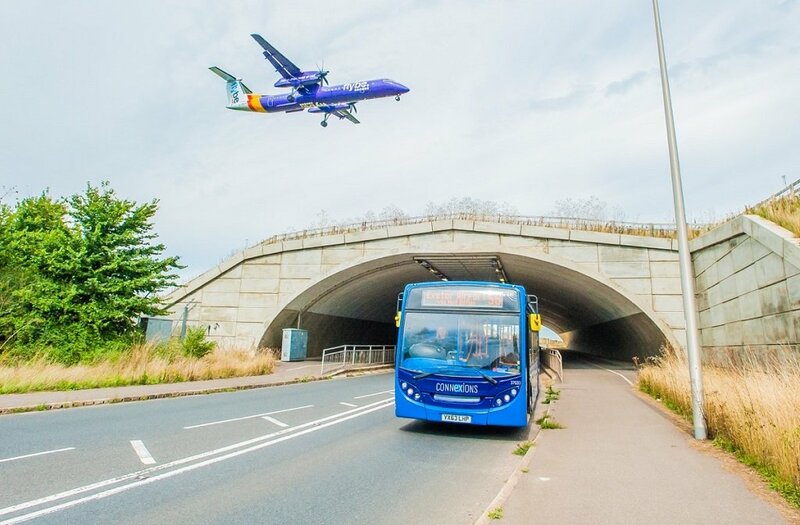 Upgraded in 2018, CONNexIONS 56 links Exeter St David’s with the city centre, the East Devon Enterprise Zone, Sky Park and Exeter Airport. 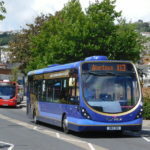 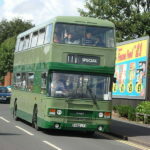 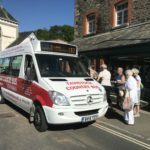 Developed as a result of an innovative new partnership alongside East Devon District Council and Devon County Council, CONNexIONS aims to reduce congestion and help more people get to work by bus between Exmouth, Exeter and the Enterprise Zone. 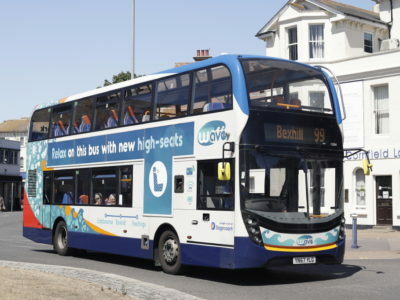 The route is home to a fleet of 5 branded Alexander Dennis Enviro200 buses kitted out with free WiFi and more. 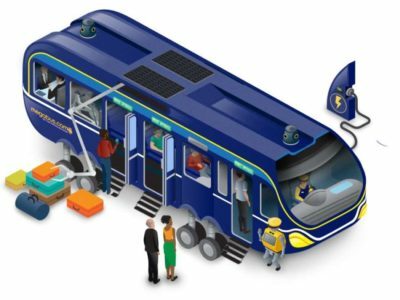 In amongst the eye-catching new two-tone blue branding, each bus also features its own homage to a different highlight along the route.